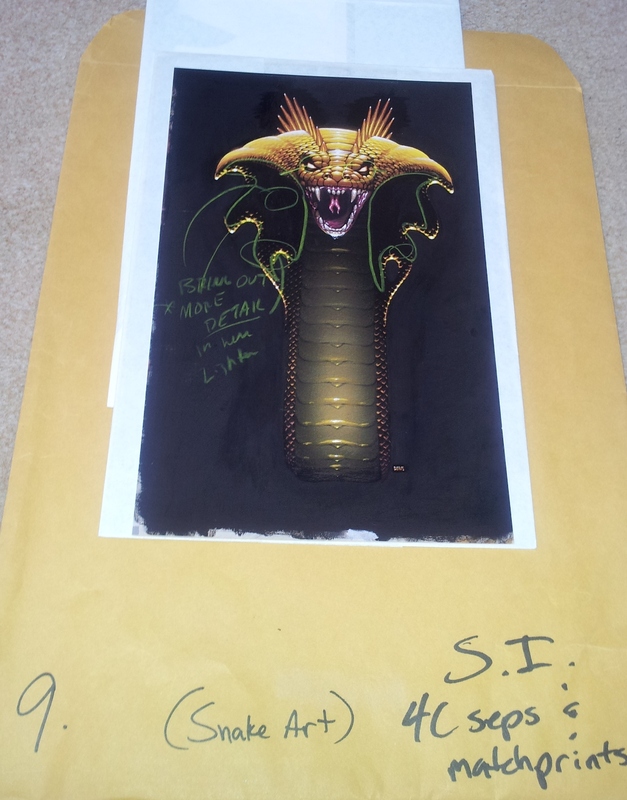 This is another of my favourite items from the collection, a proof & negatives for the snake cover art as featured on the Serpent Isle box cover. Someone at Origin clearly wasn’t happy with this proof as it has some notes on it to bring out more detail in the darker areas. I can’t honestly say these areas are any less dark on the final cover though. I’ve got a second set of negatives where this may have been attempted but I don’t have a proof printed from this second set to compare. I’m unclear as to whether it’s the original painting or another proof but the Origin Museum is in possession of one or the other which can be seen here courtesy of Razimus Dragon. I believe Joe’s picture is an oversized slide that he scanned using a light box! Well–kinda. What I have are some large slides (2×3 inches) of a photograph of the original artwork image. I had these slides professionally scanned to get the image that is on Razimus’ site. I had a batch of these slides scanned (which was a bit expensive), and released them all to the net. I kept the resolution reasonable, but gave out higher rez-versions to one or two folks. 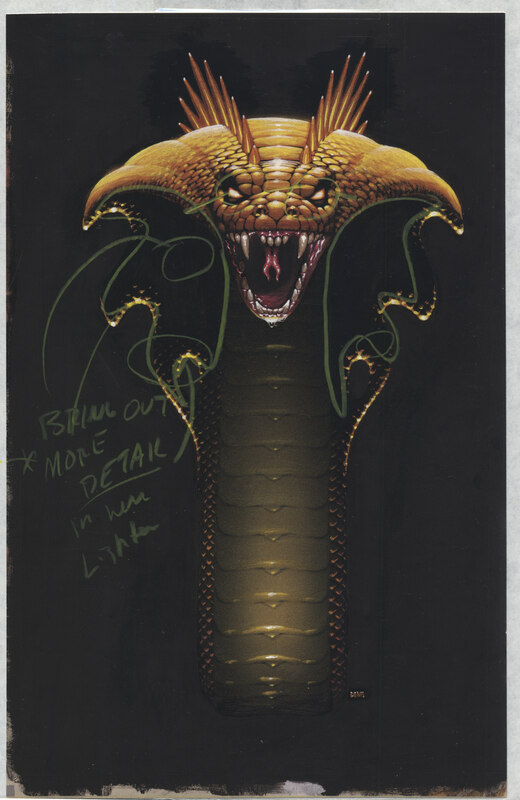 I later got word from a collector that these hi-rez images were being hawked around as collectibles, and that this collector could buy them from the seller for the low price of 1,200 U.S. dollars….typical.